Stephen Wells, Derek Hine, Stephen Silvagni and Todd Viney have received so much credit for their recruiting decisions. Yet, since 2012, no club has added as many high-level players as the Bulldogs. 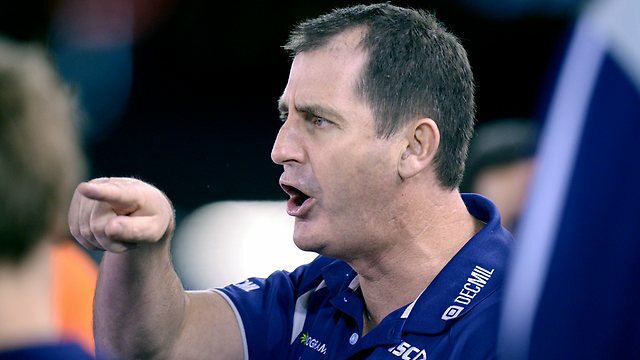 Bulldogs recruiting manager Simon Dalrymple started off poorly when he came to the club in 2009, picking Christian Howard and Jason Tutt with picks 16 and 31. Since then, he has rarely missed. In 2012, Jason McCartney joined the club as list manager, and together, the two have put together one of the most-potent lists in the game. The 2010 draft was difficult to navigate due to the Gold Coast draft concessions. But the Dogs got lucky, taking Mitch Wallis and Tom Liberatore as father-son picks. More importantly though, they added Luke Daulhaus and Jason Johannisen in the rookie draft. 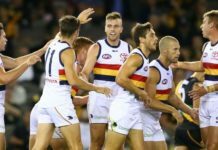 2011 wasn’t quite as good, but Clay Smith has made an impact when he’s been able to play and Michael Talia looks to be the key defender the Dogs needed. 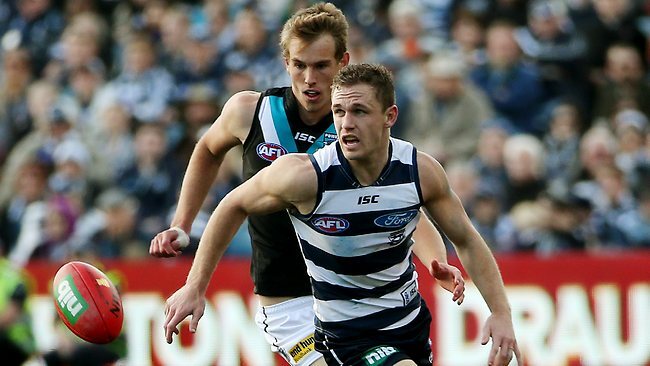 Danny Pearce was a miss, but Tory Dickson was a masterstroke at pick 57. Interestingly, the bloke to go after Dickson was none other than Lachie Neale. How’s that for two value picks? Dalrymple’s decisions in the 2012 draft were dangerous, but it’s clear that the Bulldogs have since won the draft. With pick five, Dalrymple took Jake Stringer. In an interview in July 2012 on the Bound for Glory radio show, Jake Stringer said he considered himself to be a permanent midfielder. But a broken leg changed everything for Stringer and the Bulldogs. “At the start of the year I was playing forward because I couldn’t play anywhere else because I couldn’t move. 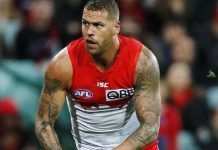 From three games I kicked 17 goals,” Stringer said. It was an incredible risk for the Dogs to take at pick five. Ollie Wines, Sam Mayes, Nick Vlaustin and Troy Menzel were still on the board. Stringer was 190cm and there was no real indication whether he was going to be a midfielder, a key forward or a third tall. Most clubs would have steered clear and went with Ollie Wines or even taken Kristian Jaksch as a key forward. Stringer has now become one of the Bulldogs’ most pivotal players, after going more than 10 years without a dominant key forward (excluding Barry Hall’s stint). 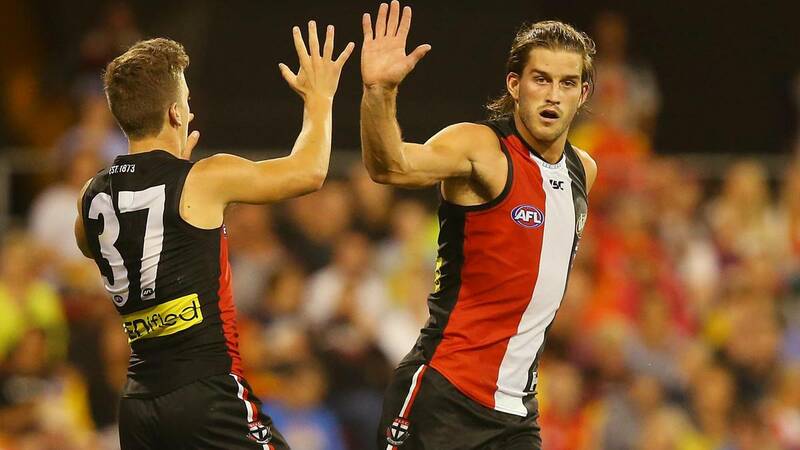 Dalrymple then went risky again at selection six, which was the compensation pick for Callan Ward. Jackson Macrae was a bolter after his dominant TAC Cup Grand Final. Most draft pundits were unsure about the pick: not because Macrae didn’t have the talent, but he hadn’t put in a consistent season. 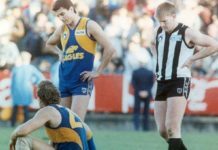 Best remembered for kicking the winning point in Oakleigh’s Premiership, Macrae was seen as a polished outside midfielder who had shown a sudden spurt of top flight talent. Three current Bulldogs made the 2012 TAC Cup team of the year in Stringer, Lachie Hunter and Tom Boyd as a 17-year-old. However, Macrae didn’t dominate the TAC Cup until the last month of the season. It looked likely that even if Macrae was going to become a good player, it would take time, given he was an outside midfielder who wasn’t going to win a lot of his own ball (at least initially). Then 2014 rolled around. Macrae became the youngest player ever to have 40 disposals in a game. He posted nine games with 30 or more disposals and ended the season averaging nearly 27 disposals per game. He came second in the Bulldogs best and fairest as a 20-year-old. Nathan Hrovat looks to be a great pick at 21. With Callan Ward, Adam Cooney, Ryan Griffen and Daniel Cross now gone, and Matthew Boyd on the way out, Hrovat replaces that inside grunt but is also a decent ball user. Dalrymple then nailed the father-son selection with Lachie Hunter. His potential as a game-breaker is high, with his leaping, innate goal sense and ability to rack up the ball despite mainly playing in the forward pocket. 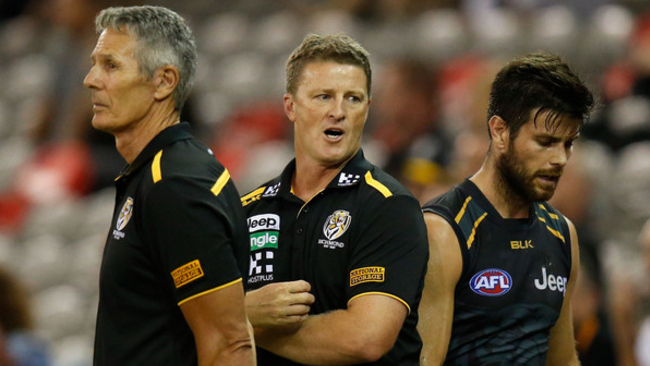 Don’t forget that the Dogs brought in Brett Goodes as a rookie in 2012, either. Then, 2013 rolled around and the Dogs were still languishing at the bottom. The 2013 draft was on par with the 2008 draft in terms of a range of high-quality first round draft choices, but also in terms of depth. Tom Boyd, Josh Kelly and Jack Billings was the general consensus for the top three. But the Dogs had the wildcard at pick four. Marcus Bontempelli had an up and down year for the Northern Knights. There were games where he looked mid-tier. 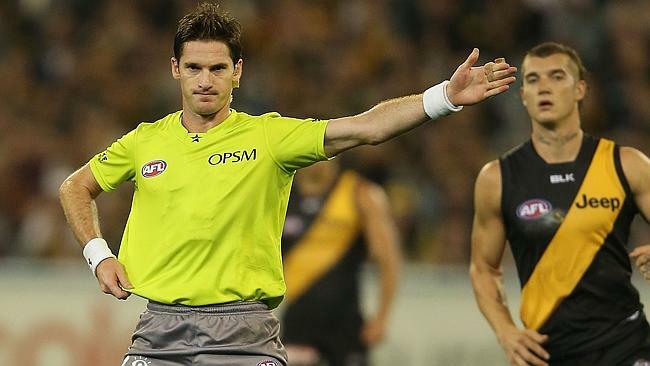 His teammate Ben Lennon (now at Richmond) stole the spotlight from him on several occasions. It all depended on what week you saw Bontempelli. Some weeks, he was capable of kicking 10 goals and having 30 disposals. Other weeks he looked pedestrian, with the occasional flash of brilliance. 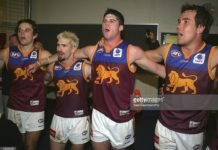 James Aish, Kade Kolodjashnij, Matthew Scharenberg and Christian Salem were all around the mark for the Bulldogs, until Bontempelli had one of the greatest four week stretches in TAC Cup history. 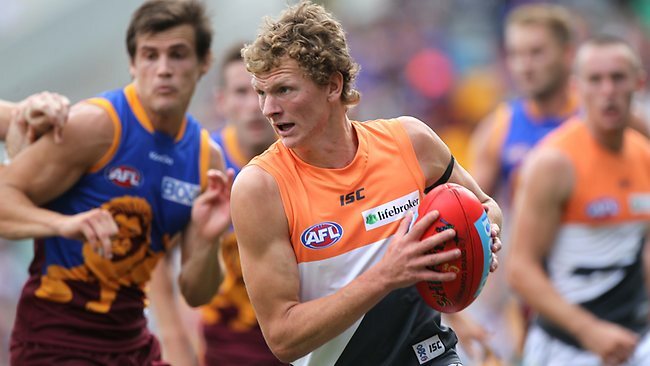 Bontempelli averaged 26 disposals at 73 percent efficiency, more than two goals and more than six tackles per game. At 192 cm, Bontempelli was the prototype midfielder who could dominate anywhere, but he seemed so raw and it looked like he would take time to develop. The Dogs traded pick 22 (it became 26) for Stewart Crameri, which looked to be an excellent trade at the time. Finally, at pick 60, Dalrymple picked up Mitch Honeychurch. On talent alone, the outside midfielder was as dominant as anyone in the top 20. Many believed he would be, at worst, an excellent choice in the top 30. 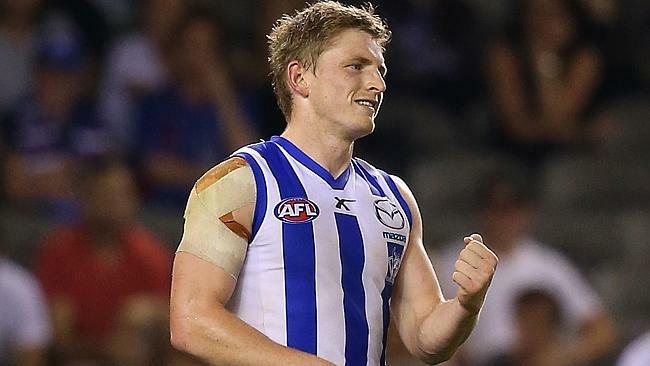 He may take time to develop, but there is no denying Honeychurch’s class or goal kicking ability. 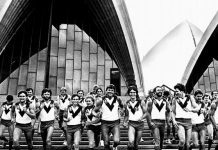 After nailing two drafts in a row – bringing in five excellent players through the draft, as well as adding the senior bodies of Crameri and Goodes – it was time for McCartney and Dalrymple to elevate the Bulldogs from a promising list to that of a team with a real identity. 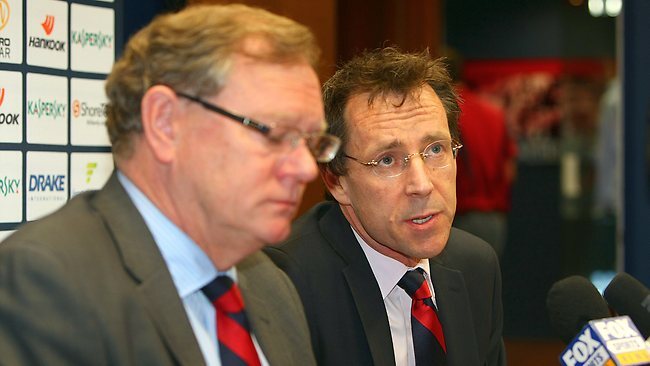 McCartney put the club’s next ten years on the line by offering Tom Boyd a mountain of cash. Minnow clubs aren’t meant to do that. They’re meant to just hope they strike lucky with a draft pick. Never had the club had to deal with so much discussion from the media, with the departures of Griffen and Brendan McCartney as well as the arrival of Boyd. 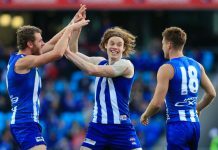 On draft day, and for quite some time after that, most people were questioning why the Dogs brought in five goal kicking type small midfielder/forwards. The Bulldogs have built their list to emulate what Port Adelaide did last year. 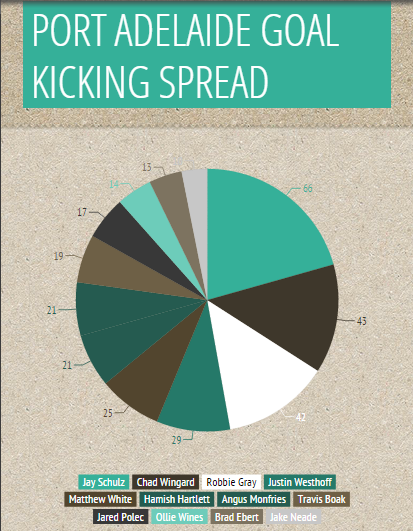 Port Adelaide had nine players kicking 17 goals or more last year. 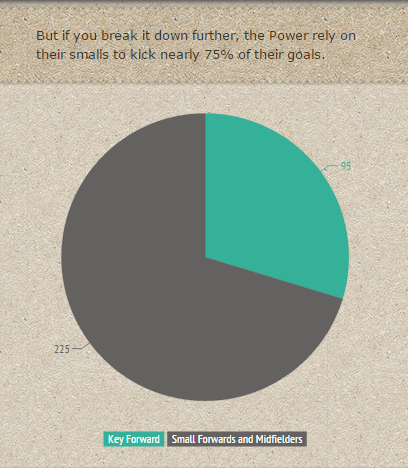 Port kicked 225 goals via their small forwards and midfielders: the Bulldogs have set themselves up to do the same. 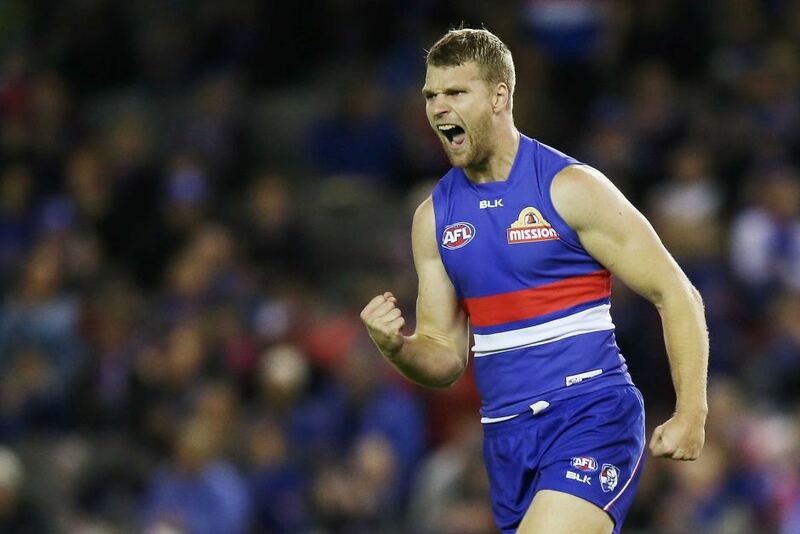 Despite Jake Stringer coming into his own, with Stewart Crameri being solid, the Dogs need more options while Boyd develops. The 2014 draft class for the Dogs included Caleb Daniel, Lukas Webb, Toby McLean, Bailey Dale, Declan Hamilton and Zaine Cordy: the latter is the only one of those players above 186 cm. Daniel has as much talent and athletic ability as anyone in the first round. Webb showed first round talent for Vic Country last year, with his four goal game being one of the most dominant individual performances in the whole Championships. McLean is a Jamie Elliott-type, with the ability to rack up 30 disposals, take screamers and kick miraculous goals. Dale and Hamilton are creative utility types who possess great decision-making skills and can be moulded to coach Luke Beveridge’s game plan. A club who has screamed out for a dominant key forward since Chris Grant retired, the Dogs were trapped in mediocrity for a long time. With what is clearly one of the best young midfields in the league, and at least eight great crumbing types at his feet, Tom Boyd will have the same amount of influence as Tom Hawkins soon. The club needed a marquee player. They now have four in Boyd, Bontempelli, Macrae and Stringer. It was probably the money that attracted Boyd. But with so much negativity going towards big name players moving to bigger clubs, it was a win for the smaller markets. 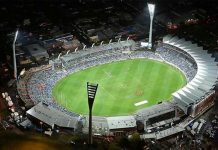 The Bulldogs may play finals this year, and in just three years, McCartney and Dalrymple have built a list that ticks every box (besides the ruck department). 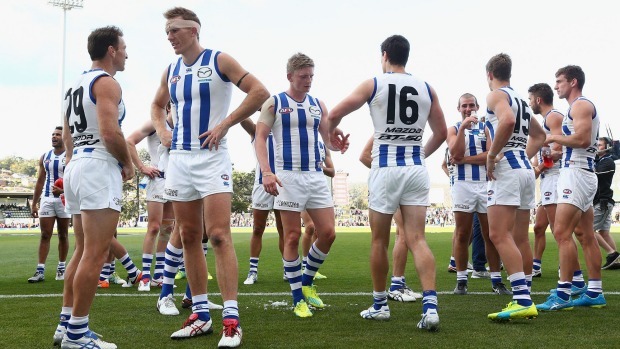 Mediocrity is no longer an option for the Bulldogs, and with Matthew Leuenberger on the chopping block, don’t be surprised if the Doggies make another big off season move. Next articleA new dawn for Suns? Studing Journalism at RMIT, Jourdan aims to become a member of the AFL media and is interested in all platforms of communication. Keeping a keen eye on the developing under 18 players, he hopes to inform the footballing community about who is rising through the ranks. How can other teams recruiter (wells), add the same talent when he hasn’t had the same low picks. Of course a team with numerous low picks and guys in recruiting with half an idea is going to get good players.